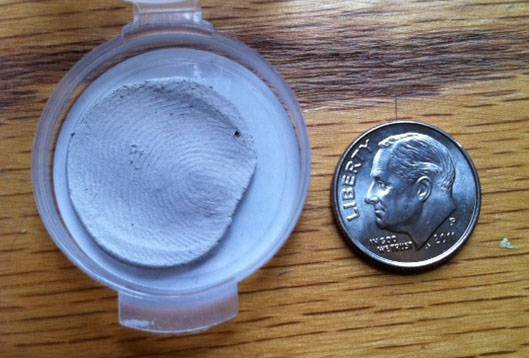 It takes less than 10 seconds per Kit to collect a fingerprint. Gather the people whose prints will be captured before you open the Kits. 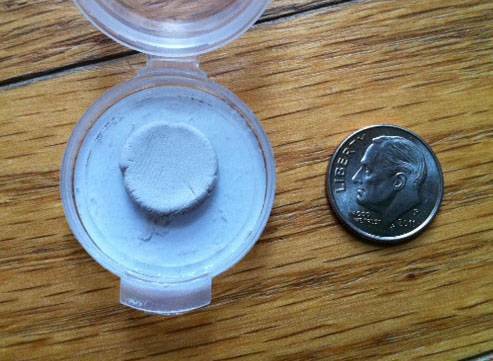 Do not remove the clay from its package until you are totally ready to capture the print. The clay dries out quickly. Step 1: If you’re taking multiple impressions, make sure the label on the lid corresponds to the print you’re capturing. Step 2: Remove container from package. Step 3: Open the container and place it on a flat surface. Step 4: Make sure the clay is still in the top of the container. You know it’s the top because it’s the same side as the label. The bottom has a small raised bump. 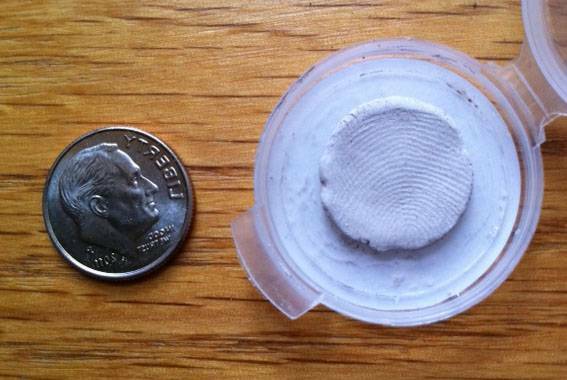 If you press a finger into the clay when it’s in the bottom of the container, the completed fingerprint charm will have that bump on the bottom. If the clay has fallen to the bottom, gently pick it up and move it back to the top. 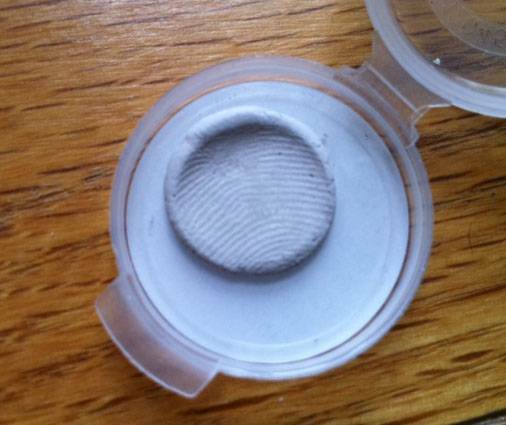 Step 5: Place your loved one’s pointer finger directly in the center of the circle of clay and press down evenly for about 5 seconds, until you have a clear fingerprint impression. Step 6: Close the container immediately and put it into the pre-addressed envelope, seal it, add postage, and send it back to me.